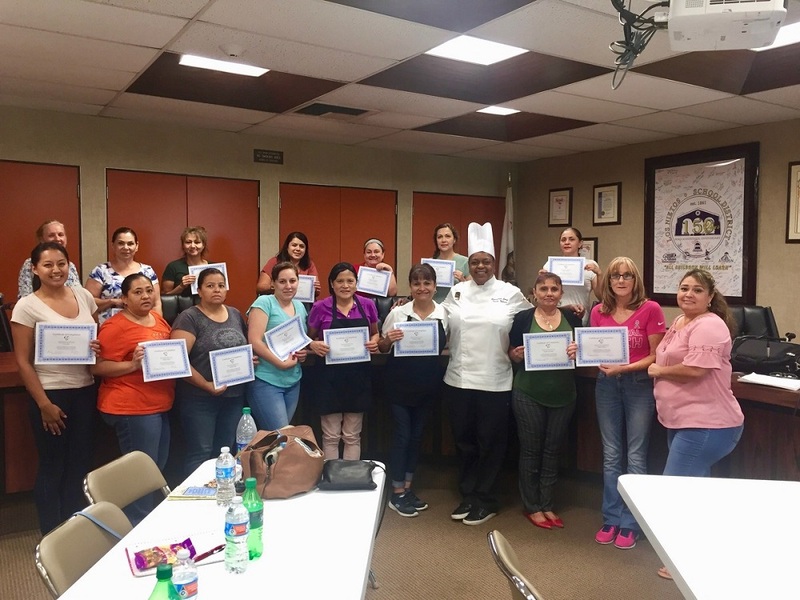 Le Cordon Bleu chef Trina Nelson led Los Nietos nutrition staff in a two-day culinary workshop on Aug. 8-9 aimed at preparing the District to launch a new “scratch” cooking menu this fall. Nutrition staff practiced cooking items from the new menu and learned knife handling, fresh food preparation and presentation skills. The menu is one of the District’s 2017-18 health initiatives and will eliminate all processed food from school-provided meals in favor of fresh ingredients. About 1,700 students in the Los Nietos School District will discover new digital tools, remodeled classrooms and a soon-to-be completed science, technology, engineering, arts and mathematics (STEAM) lab when they return to campuses on Monday, Aug. 14. 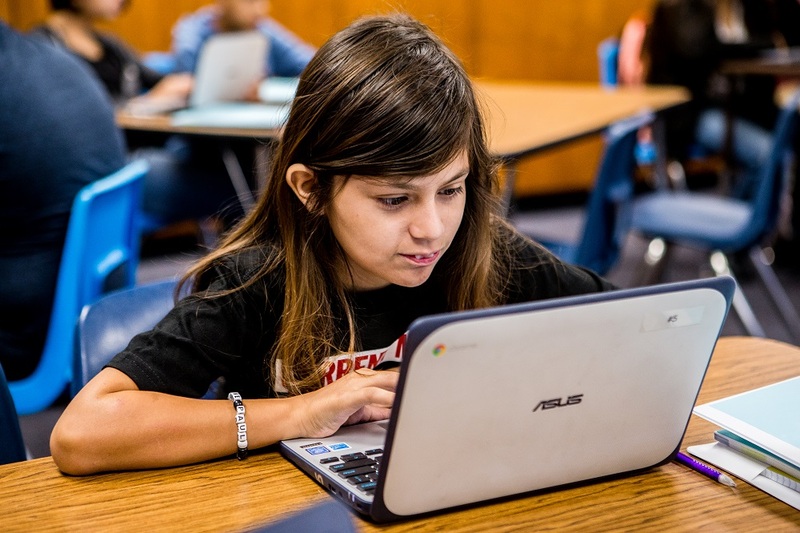 Students in grades three through eight will also receive 1:1 access to digital tools this year. About 48 Los Nietos School District students are exploring science, technology, engineering, arts and math (STEAM) fields at Ada S. Nelson Elementary School during the District’s four-week summer enrichment program, which concludes Friday, June 30. 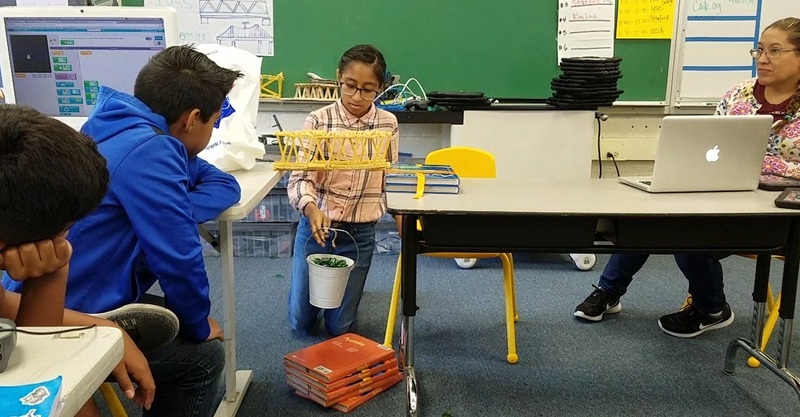 Students in grades three through eight were selected for the program, which includes building model bridges, launching rockets and conducting Google Slides presentations. Los Nietos School District is California’s oldest school district, serving an area of 3.5 square miles in Whittier with three K-6 elementary schools and one middle school with grades seven and eight. Vision. The District values building the community through education to ensure students are prepared academically and socially for future success. Aeolian Elementary School’s award-winning Garden Club was awarded a first place ribbon for excellence at the California 48th District Agricultural Association (DAA) Schools’ Agriculture and Nutrition Fair at the Fairplex in Pomona on May 18. The 26-bed garden, cultivated for 16 years, includes leafy greens, spicy peppers and California wildflowers. 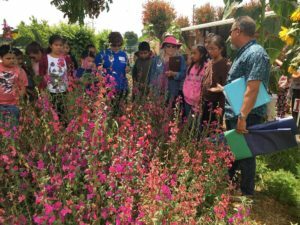 The 45-member club is guided by Aeolian second-grade teacher and Certified Master Gardener Juvenal Martinez. In 2014, the club won the “There is a School in Every Garden” award. 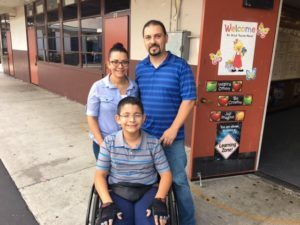 Los Nietos Middle School eighth-grader Jared Avalos is helping his school send six teams to the MESA Regional Competition on Saturday, April 8 at UC Irvine despite a neurological condition that makes it difficult for him to walk. Jared lost his ability to walk three years ago, and has been on a challenging road to recovery that requires daily exercise and physical therapy three times per week. Avalos is unhindered, however, when exploring math and science. An honors student with a 3.8 GPA, he will compete in the Mouse Trap Car and Prosthetic Arm categories while inspiring all those around him. Follow-up Story: Eleven Los Nietos Middle School students presented findings from their field trip to the East Coast during a school board meeting on April 27. The students toured Washington, D.C, New York and Gettysburg from March 24-30, including visits to the White House, Capitol Building and Wall Street. 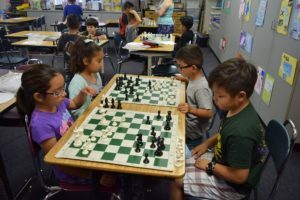 Follow-up Story: Rancho Santa Gertrudes and Ada S. Nelson elementary students came together on May 20 for a year-ending chess tournament at the Rancho campus. Parents and teachers from both schools cheered on participants who were awarded first-, second- and third-place trophies in each grade. At both schools, a chess club meets weekly so students can hone their concentration and problem-solving skills. 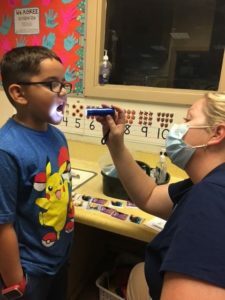 Follow-up Story: Los Nietos School District celebrated its annual Every Kid Healthy Week from April 24-28 with a mix of fun and education. Families, volunteers and community organizations took part in Run Club, Zumba sessions, structured play recess and a Veggie App Workshop, among other activities. The Los Nietos Food Service director also conducted a food demonstration to showcase the use of healthy ingredients in tasty dishes. Photos are available. Rancho Santa Gertrudes Elementary School students will hit the field for the second annual jog-a-thon fundraiser to support school programs. The run will be held at noon Friday, April 28 on school grounds with students, parents, Principal Octavio Perez and Superintendent Jonathan Vasquez. The event is part of the District’s Healthy Los Nietos program. Follow-up Story: A pair of Los Nietos Middle School students earned second- and third-place honors at the MESA Regional competition on April 8 at UC Irvine. Xico Reyes took second place in the solo math category and Reyes teamed with Aaron Jimenez to finish third in the glider competition. This marks the fifth straight year that the school reached the MESA Preliminary and Regional finals. Photos are available. 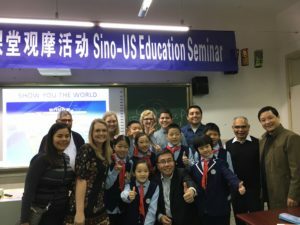 Follow-up Story: Three Los Nietos educators from Aeolian Elementary completed a week-long academic excursion to Chengdu, China, where they visited six schools and met with students and teachers to share western educational practices. For the Chinese educators, there was specific interest in learning about the District’s special needs education and services. Los Nietos established the international partnership in 2014, with Chinese educators and students also visiting the District to tour campuses and experience classroom instruction. Follow-up Story: The winners of Ada S. Nelson Elementary School’s Oratorical Contest recited original works and famous speeches at a schoolwide assembly on March 17. The K-6 students were chosen after coming out on top in grade-level speaking battles. A diverse group of former educators judged the Los Nietos School District contest.